Posted: Wednesday, April 3, 2019. 7:43 pm CST. By BBN Staff: The Government of Belize has approved “The Expansion of Fisheries Replenishment (No-Take) Zones,” which will increase the total area of Belize’s protected waters from 4.5 percent to 11.6 percent, according to WCS (Wildlife Conservation Society). In this expansion, Belize also establishes its first protected area within its Exclusive Economic Zone, known as the Corona Reef due to its extensive coral reef complex. The expansion is in the deep-sea area of Belize, with depths ranging from 200 to 3000 meters, which includes some of the most underrepresented habitats in the current marine protected areas (MPAs) system of Belize. Studies show that the deep-sea area of Belize serves as an important habitat for deep-slope snapper species and bottom-dwelling (demersal) species. Expansion of replenishment zones are essential for enhancing the viability and long-term sustainability of Belize’s marine resources for coastal communities and tourism industries, particularly as the country is faced with impacts of climate change. A statement from the WCS notes that this is a crucial step for Belize in meeting the aspirations of its development plans including Belize Horizon 2030 and the Growth and Sustainable Development Strategy. It will also help Belize to meet its international commitments under the United Nation’s Sustainable Development Goals (SDG), the Food and Agriculture Organization (FAO) Guidelines for Small-Scale Fisheries, the Convention on International Trade of Endangered Species (CITES), and the United Nations Convention on Biological Diversity. Further, this expansion will help to maintain the outstanding universal value of the Belize Barrier Reef Reserve System UNESCO World Heritage Site. Extensive consultations with stakeholders resulted in the generation of validated and supported areas for designation as fisheries replenishment zones, which were identified through a scientific process led by the technical experts of the Fisheries Department, local and international scientific partners. “The Belizean commercial fishers, particularly those who access deep-sea resources, were vital for this process and we praise their commitment to the initiative, along with the local sports fishers,” WCS said. The fisheries replenishment zones will protect important habitats and biological functions, such as reproduction, in order to prevent overexploitation of Belize’s fishery resources. In welcoming this major announcement, WCS’s Assistant Country Director, Ralna Lamb Lewis said the Government of Belize took a step in the right direction. “Securing these critical habitats demonstrates our government’s commitment to ensure traditional livelihoods are maintained, and is a step in the right direction towards enforcing Belize’s waters so as to combat and deter illegal fishing,” Lewis reiterated. “This is fantastic news for both the fish and the fishers in Belize,” said Jason Patlis, Executive Director for WCS Global Marine Conservation. 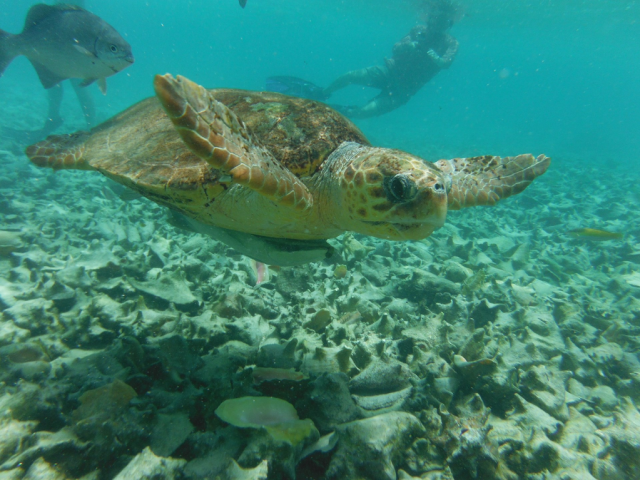 WCS’s work in Belize was generously supported by the Oak Foundation, The Summit Foundation, Oceans 5, Mesoamerican Reef Fund, the UK Government’s Darwin Initiative, and a grant under the WCS MPA Fund.